We are so grateful for artist Doug Young and the custom piece of art he created for Arcadia’s Administration Office! 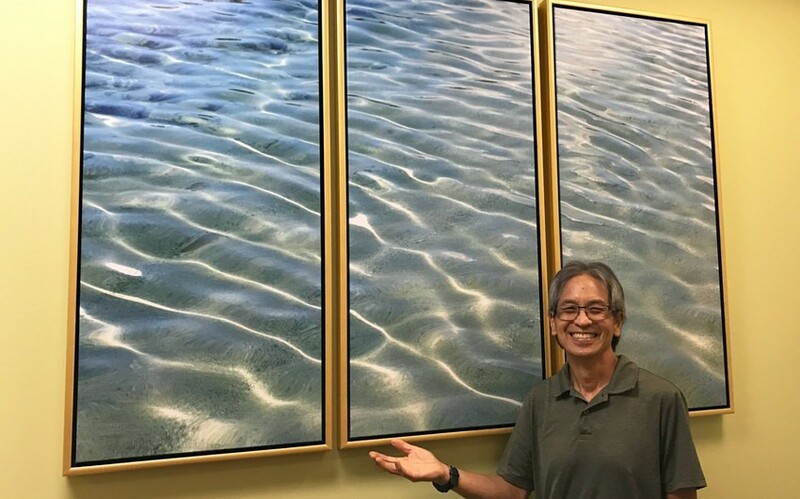 Doug created this beautiful water triptych painting for the entrance of the newly renovated Administration Office. The calming waves will now greet all visitors. Mahalo, Doug, for sharing your talents with us!